At Mulberry Painting, we are craftsmen dedicated to quality, service, and affordability in cabinet refinishing, custom trim, and interior painting. We're proud to be trusted throughout RVA by hundreds of homeowners, builders, and designers. From Moseley to Mechanicsville to Glen Allen to the Fan, we're known throughout the Richmond area for professionalism and quality - also for being such friendly guys! Over your outdated cabinets? For too long RVA homeowners have dealt with high prices and lengthy timelines. A new choice is in town! Discover why our innovative technique is getting so popular. Subtle or dramatic, custom molding and trim will take your design to the next level. 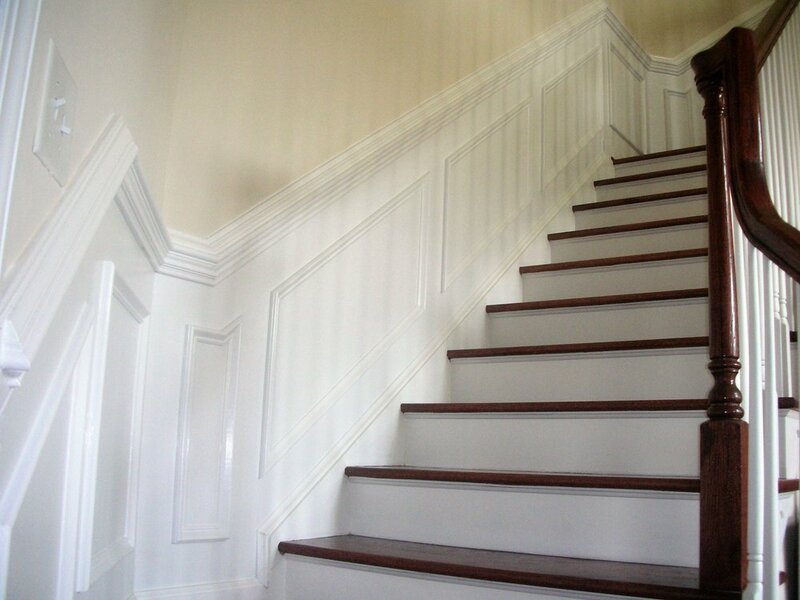 Add interest to your space with crown molding, chair rails, baseboards, wainscoting... options are nearly endless! We're reliable, communicative, considerate... basically all-around pleasant people to work with. We make sure you're completely satisfied with your paint job and experience working with Mulberry Painting. Super comfortable working with homeowners, interior designers, contractors, builders, property owners, etc. We commit to a schedule so you know exactly what to expect. If anything goes awry, we communicate with you right away. Cabinet refinishing services in the Richmond area have gone undisrupted for too long. Innovations in the surface-coating industry mean homeowners now have more durable, safer, quality choices available that are more cost-effective and dry faster than traditional methods. Discover why the Mulberry Painting cabinetry services are growing in popularity throughout RVA! Oh, what a difference with trim. New paint, maybe even new flooring, lighting and decor but your space still doesn't feel right? Add the element of architectural interest. You'll be surprised how custom molding and trim can truly make a space feel more luxurious, open and unique.